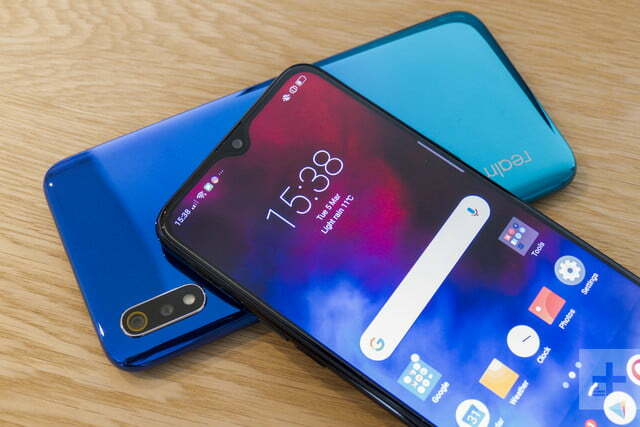 In 2019, the competition is only getting fiercer as companies like Xiaomi and even Samsung are launching smartphones that offer big features (such as 48MP camera, 5000mAh battery) at really affordable prices. To that end, the Realme 3 does offer a few attractive features, but largely follows a tried and tested formula that may not cut it today. I spent a week with the Realme 3 and here's what I think about the device. In terms of design, the Realme 3 look like it belongs in 2019. It gets a dewdrop display like the Realme 2 Pro, a gradient colour design which is all the trend right now. The rear panel has also been upgraded as one, seamless cover that extends all the way around the frame and meets the glass panel on the front. But Realme isn't using a glass panel, which might disappoint some considering the Redmi Note 7 now offers a glass back under Rs 10,000. That being said, the rear panel of the Realme 3 still looks attractive thanks to an injection molding technique that gives the panel a reflective and smooth finish. Realme's latest handset gets the same 2.1GHz Helio P70 octa-core chipset as the Realme U1. This is a MediaTek chipset with four Cortex-A53 cores and four Cortex-A73 cores along with a Mali-G72 MP3 GPU. This is paired with up to 4GB of RAM and 64GB of internal storage, which is the variant I received for review. Out-of-the-box, the phone runs smoothly for the most part. Apps take a moment to open and load, but switching between apps to multitask is quite smooth. Browsing through the UI is smooth as well, but I did encounter some lag while scrolling through heavy apps like Facebook. I also encountered frequent crashes, especially with the camera app. Arguably, the one are where the processor really shines is while playing graphic intensive games. The Realme 3 runs games like PUBG and Asphalt 9 really well, offering a consistently smooth, lag-free experience even with the graphics setting on high. Games work well not only because of the Helio P70 SoC, but also thanks to Game Space, which bumps up the performance of the device while gaming. You also get an updated Game Space, which aims to improve gaming performance. There is still a fair deal of bloatware and pre-loaded apps that come with ColorOS, which may annoy you. Apps like DailyHunt, Opera and UC Browser, ShareChat and Webnovel are some extra apps that come with the device, but they can be deleted. One of the more annoying issues about ColorOS 5 was the sheer number of spam notifications, which seems to have been reduced a great deal with ColorOS 6. The fingerprint sensor and face unlock are both really fast and snappy to unlock the device, which comes as no surprise. The bottom-firing speaker is loud enough and delivers a decent amount of clarity while listening to music. There is nothing wrong with the call quality as well, and I did not encounter any call drops during the review period.